Buttermilk gives these cookies a soft and chewy texture, with a brownie consistency on the inside and crispy cookie edges on the outside. Peanut butter chips make for a great flavor combo, but you could always swap those out for chocolate chips if you want an extra fudgy cookie. Preheat the oven to 350°F. Line a baking sheet with silicon mats or parchment paper. Melt the butter in a small, microwave safe bowl. In a large bowl, combine the melted butter (still warm) with cocoa powder and whisk until very smooth. Whisk in sugar until well mixed. Mix in egg, vanilla extract, and buttermilk. Gradually stir in the flour mixture until no streaks of flour remain. Stir in the peanut butter chips and/or chocolate chips. 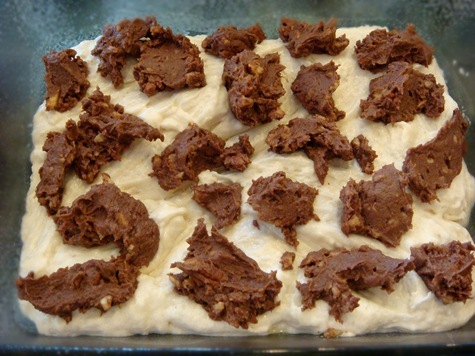 Drop dough in 1-inch balls into prepared baking sheet, leaving about two inches between cookies to allow for spread. Bake for 10-12 minutes, until cookies are set around the edges. Cool for 2-3 minutes on a baking sheet, then transfer to a wire rack with a spatula to cool completely. Last week we were swimming in coffee cake around here. Unfortunately, it was not the kind of swimming that helps trim inches off of my waistline. Good thing there were lots of hungry skinny children lurking around! I was bringing breakfast to our seminary class on Friday, and wanted to try a new recipe, so I had to give it a test run at home earlier in the week. I ended up making quite a few changes to the original recipe, including swapping out the traditional cinnamon topping on one batch with one made from ooey, gooey chocolaty Nutella. The first batches I made for home (shown in the pictures) used pecans, but I used walnuts the second time around for our class. I preferred the walnuts, but I almost always prefer walnuts over pecans, so choose whichever nut you prefer. Both the cinnamon and Nutella topped varieties were really good. 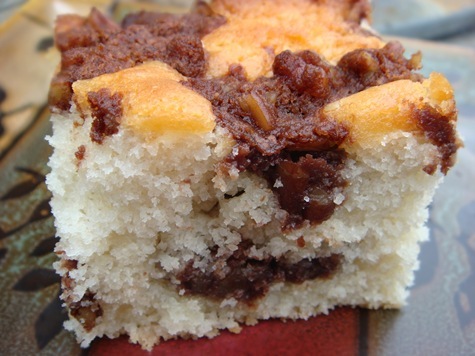 The cake part was moist and light, and just slightly tangy from using buttermilk. To distribute the chocolaty/cinnamony goodness throughout the cake, I layered half of the batter in the pan, added half of the topping, then repeated the layers. The Nutella topping was very sticky; it was easiest to just use my fingers to drop small amounts onto the batter. It melts nicely into the cake while cooking. For an extra dose of chocolate, sprinkle some chocolate chips (not shown in this picture) on top of the Nutella layers. 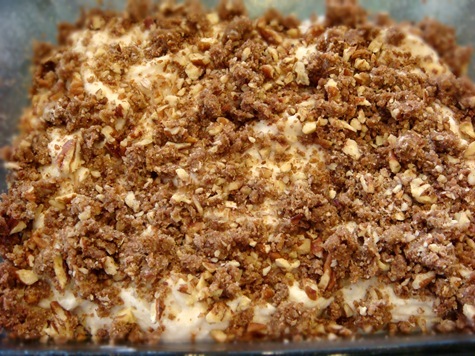 The cinnamon topping is crumbly and can be sprinkled easily. I split the batter and made one of each variety in two 8×8” square pans, instead of one large 9×13” pan. Just an FYI: the full batch that I made later in a standard 9×13” pan rose right to the top edge of the pan when baked, so be sure to use a pan that doesn’t have low sides! The only down-side of this recipe is that it uses a lot of mixing bowls (four! ), but the end result is definitely worth an extra run of the dishwasher. Sift together flour, baking powder, and salt; set aside. Beat egg whites until stiff; set aside. Stir vanilla into buttermilk. In a separate bowl, cream butter and sugar with a mixer. Add flour mixture and buttermilk alternately until barely combined. Beat just until flour is incorporated; do not overmix. Using a rubber spatula, fold in beaten egg whites. Spread half of the batter in a well-greased 9 x 13” baking pan (I used baking spray with flour). Sprinkle with half of the topping. Spread remaining batter into pan; sprinkle with remaining topping. Bake for 40-45 minutes, or until center is set. 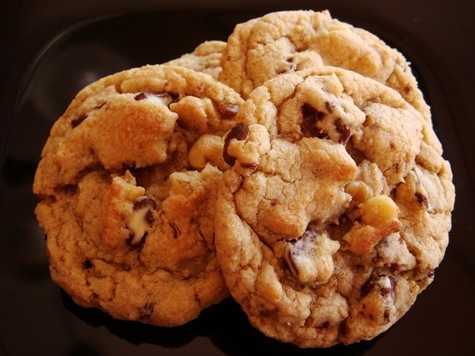 Mix together all ingredients, except chocolate chips. Mixture will be sticky. Using your fingers, drop small amounts of Nutella filling onto first layer of batter. Sprinkle with half of the chocolate chips. Repeat layers. 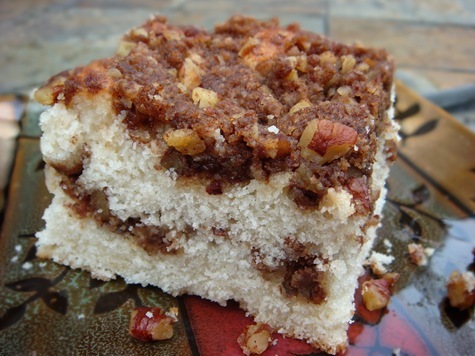 Mix together all ingredients, except nuts, using a pastry cutter or two knifes until crumbly. Stir in nuts. Sprinkle half of topping onto first layer of batter. Repeat layers. 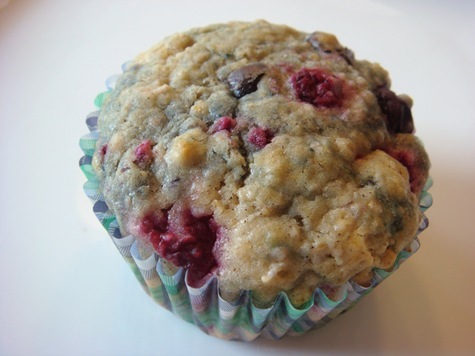 After bringing these muffins to our early morning seminary class, I have had several requests for the recipe. So I am going to take a break from days full of never-ending weeding in my yard and nights full of endless softball games to share them with you. 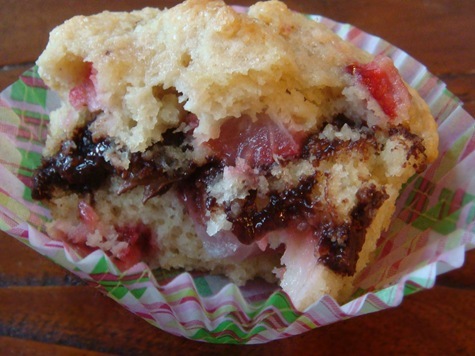 Strawberries are just beginning to arrive at the farmers markets and pick-your-own farms here in western PA, so it is a perfect time to make these muffins. And everything tastes better with a little Nutella swirled in! 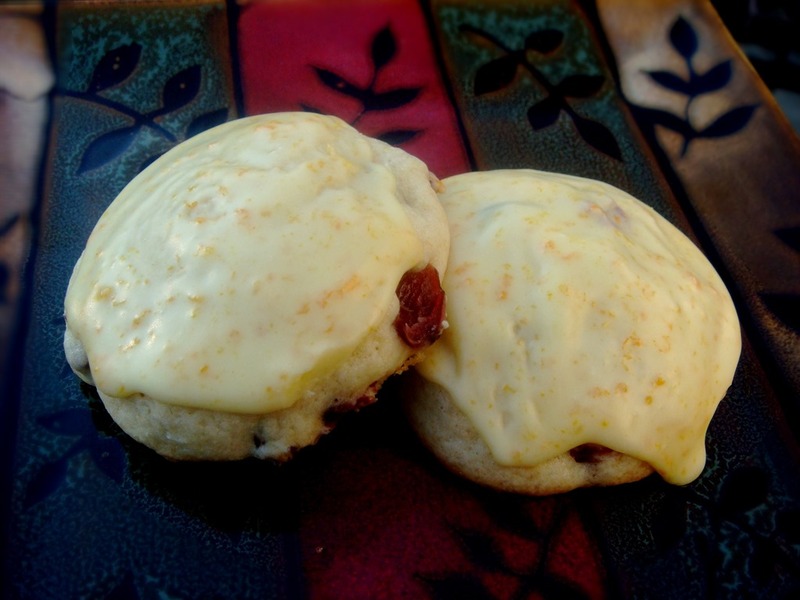 I found this recipe on Two Peas & Their Pod, and just couldn’t resist making them. The only changes that I made to the recipe were to add more strawberries than called for, and probably more Nutella. I didn’t actually measure the Nutella; I just scooped it out of the jar to put in the center of the muffins. 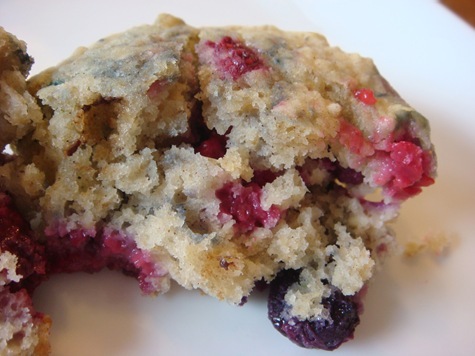 As with most muffin batters, to keep them from being dry and dense, you do not want to overstir the batter. There should still be some streaks of flour in the batter. Fill the muffin cups halfway with batter. Place a dollop (about a tablespoon: I just used a soup spoon straight from the jar) of Nutella on the batter. You do not need to spread it around. Nutella can be kind of thick at room temperature. I warmed the Nutella first in the microwave for about 30 seconds. This made it really easy to drizzle the Nutella from a spoon onto the batter. My jar was almost empty, so I just heated the Nutella in the jar. If you are only using part of your jar, you might want to spoon some into a small bowl before heating it. Top with another scoop of batter, until the muffin cups are about 3/4 full. Sprinkle with Turbinado sugar. This is a coarse raw sugar. You could use regular sugar if you don’t have it, but turbinado sugar does make a nice crystally (I’m sure that’s not a real word, but it should be) crust. These are best served warm while the Nutella is soft and gooey. Here is the original recipe from Maria, with my notes at the end on the slight changes that I made. 1. Preheat oven to 350°F. Line a muffin tin with paper liners or grease well. Set aside. 2. In a medium bowl, whisk together the flour, salt, baking powder, and sugar. 3. In a small bowl, combine canola oil, egg, buttermilk, and vanilla. Use a fork or whisk and mix until well combined. 5. Incorporate the wet ingredients into flour mixture. Add slowly and gently stir, you don’t want to over mix. The batter will be thick. Carefully fold in the strawberries. 6. Fill each muffin cup half way with batter. Next, add a small spoonful of Nutella to each muffin cup. Cover the Nutella filling with the remaining batter. Sprinkle each muffin with turbinado sugar. 7. Bake muffins for 17-20 minutes, or until muffins are golden brown and a toothpick comes out clean. Remove the muffins from the pan and let cool on a cooling rack. Kelly’s notes: I used coconut oil instead of canola oil. I didn’t measure the Nutella, I just used a spoon and scooped straight from the jar, but I probably used a little more than 1/3 cup. I heated the Nutella for about 30 seconds in the microwave before using (to make for easier drizzling). I also used more strawberries than called for (about 1 ¼ – 1 ½ cups). I ended up with 12 muffins, and I needed to bake mine for 23 minutes before they were cooked through. 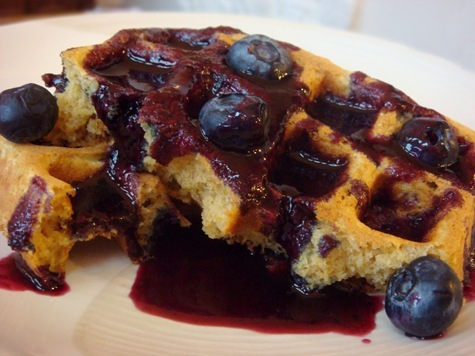 This is my favorite recipe for making same-morning (not overnight) waffles. I seem to have an irrational opposition to separating eggs, beating the whites separately and then folding them back into the batter. To compensate for not beating the egg whites, this batter is best if let to sit for 30 minutes before cooking. I realize that letting the batter sit for half an hour doesn’t really make these any faster to make than recipes using separated eggs, but psychologically I find these “faster”. The batter contains a small amount of cornstarch (mixed with the flour and baking powder & soda) which helps to make the batter lighter. 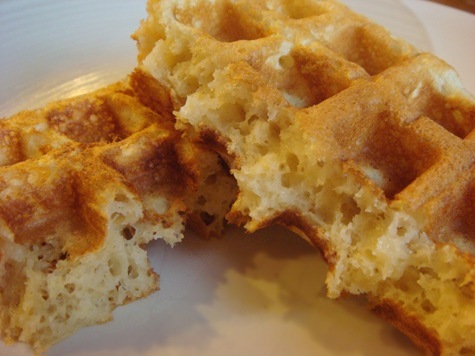 I love the light texture of the waffles with great air-pockets. And no egg white beating! In a large bowl, combine the flour, cornstarch, baking powder, baking soda, and salt; mix well. Add the buttermilk, oil, eggs, brown sugar and vanilla and mix well. Let the batter sit for 30 minutes. Do not stir batter after letting it sit. 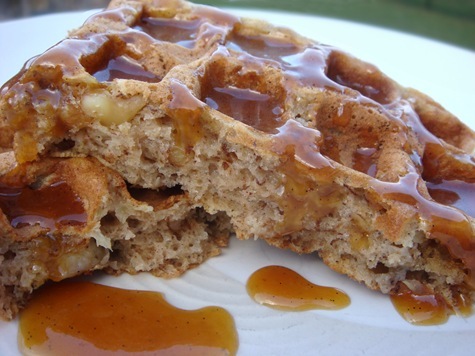 These waffles taste just like banana bread, laced with cinnamon and finely chopped nuts. And some great deep pockets just begging for Vanilla Buttermilk Syrup (recipe coming soon). 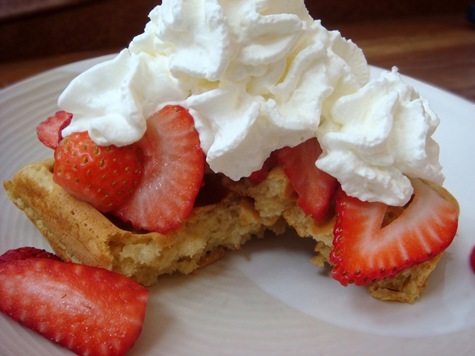 These waffles are one of our family’s favorites! Your kitchen will smell divine for the rest of the day. In a large bowl, combine flour, salt, baking soda and cinnamon. In a separate bowl, combine buttermilk, brown sugar, vanilla and egg yolks. Mix well. Stir in bananas and melted butter. Using an electric mixer, beat egg whites until they form soft peaks. Stir buttermilk mixture into dry ingredients. Gently fold beaten egg whites into batter. Fold in chopped nuts. **To make sour milk: add 2 Tbs lemon juice to a 2 cup measuring cup, fill to 1 ½ cup line with milk (whole milk works best). Stir; let sit 5 minutes before using. 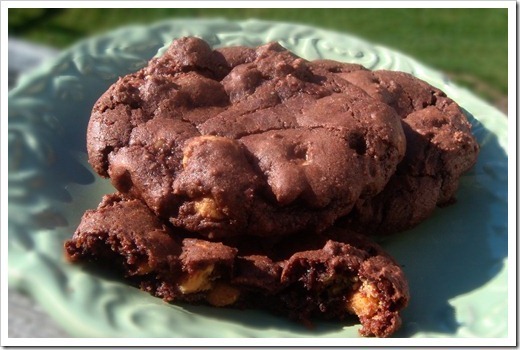 If using sour milk, add an additional 1-2 Tbs flour to batter.